Time for a Utahraptor Project makeover! We still need your help! Hi and Happy Holidays to you! 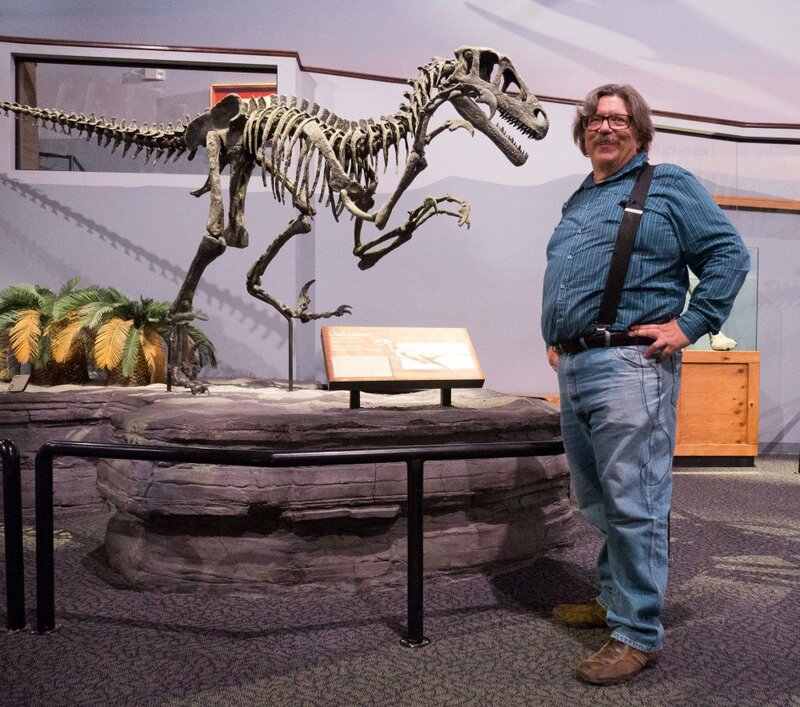 I am Scott Madsen and I manage The Utahraptor Project. If you are new to the project, please see below for a brief discussion about Utahraptor, and the discovery and excavation of the quicksand/deathtrap Megablock. But first, let's talk about the changes we are about to make to this fundraising campaign. First, we are going to eliminate the $25 "Reward" for blog access at WordPress.com, and eliminate the blog itself (the only reason we might keep it is if there are people who paid $25 for that access who simply refuse to use Facebook). When we started this campaign we thought a reward/incentive was necessary to entice folks to donate to the cause, as most other campaigns do. But we have since learned that while the WordPress blog is virtually ignored, the activity over at Facebook is ever increasing. It therefore seems disingenuous to continue a failed strategy, so very soon there won't be a WordPress Raptor Blog. What this means is that most of The Utahraptor Project action will now officially be found on Facebook. Please visit our page to see the results of all this work! We think it's pretty impressive. As you can see, through GoFundMe we have raised about half of our original goal. 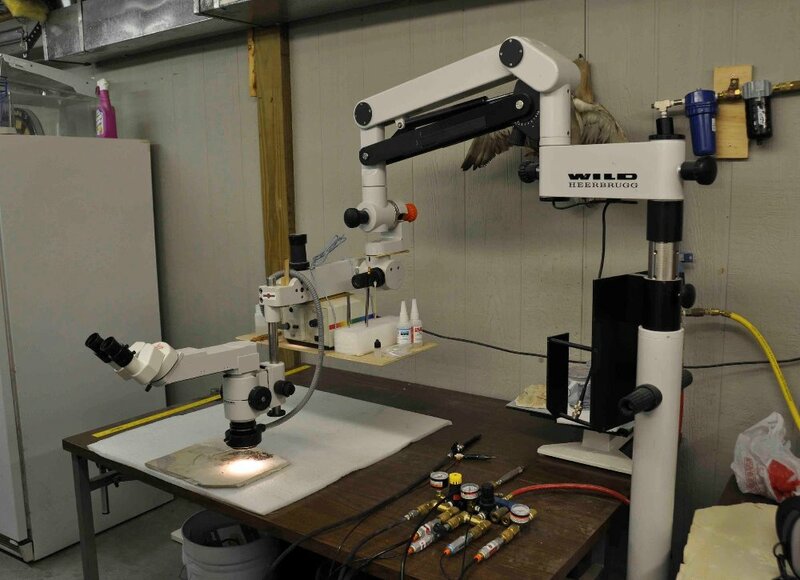 That $45,000 bought us 2 microscopes with floorstands, some electronics to start capturing images, an array of pneumatic preparation tools, a lot of glue, and many hundreds of hours of my time actually preparing the fossils. We are still depending on your contributions to keep this project going! If you value having a very real connection to a worthy scientific endeavor, then please consider supporting us with a donation to GoFundMe. If you want to make a tax-deductible contribution to the project, we are associated with Thanksgivingpoint.org, a 501c3. How will we use your donation? Good question! -a camera mounted to do time-lapse photography of the block preparation- not exactly a scientific necessity, but is sure could be fun! -a camera to photograph the specimens and block preparation both for scientific documentation as well as for sharing with the public- You! - a laptop to store all this data. - an effective dust and fume ventilation system, an essential safety item. -specimen trays, those archival boxes museums rightfully insist on using. -my time and services for preparing the block, maintaining and updating the websites, fundraising, purchasing and maintaining equipment and other administrative duties. So, I hope if you've supported us before you will continue to do so. If you are enjoying our page over at Facebook, I hope you'll consider donating here so we can improve our media presence there and elsewhere online. Aside from getting this amazing block prepared for the science that awaits, we really do want to make this a project that the public will enjoy and learn from for a long time to come. Please note this is the first of many changes to come to this page in the next few weeks- please bear with us! Lastly, a HUGE thank you to all of you who have made this possible so far!!! Trapped in an 18,000-pound block of quicksand now turned to stone is a hidden treasure of well-preserved Utahraptor fossils. Utahraptor ostrommaysorum is a large (about 18 feet long), feathered, predatory theropod dinosaur from Utah’s early Cretaceous (~124 million years ago). Utahraptors sported huge sickle claws on their second toes, with the largest specimen measuring at 8.7 inches long. Utahraptor is a dromaeosaurid dinosaur — popularly called “raptors” based on the Jurassic Park movie franchise shorthand for its sickle-clawed stars. Dr. Jim Kirkland, who named Utahraptor. Around 2001 a geologist named Matt Stikes discovered the Utahraptor quarry. Paleontologists from the Utah Geological Survey (UGS) then spent parts of 12 field seasons excavating at the Stikes Quarry, watching in joy and horror as "the block" grew to nine tons! But with the generous help of the UGS, Thanksgiving Point, donors and volunteers, we dragged the huge block out of the ground and into a lab at Thanksgiving Point in 2015. The Thanksgiving Point Museum of Ancient Life is one of the few facilities with a floor that can support the size and weight of our block – and has the added value of offering a display setting dedicated to paleontology, education and outreach. Nicknamed "MOAB", the 9 ton "mother of all blocks" in its plaster jacket in 2014. We have a nine ton rock and it’s time to find out what’s inside! The only way is to carefully reveal the bones, stabilize them with chemical solutions, and remove them from the rock using specialized tools – a subdiscipline of paleontology known as preparation. The amazing bones that have already been prepared indicate this is going to be a really exciting project with frequent new discoveries along the way! Help us to make this project happen so that we can show the bones prepared live in a popular museum setting, and join us as the scientific process unfolds online where we'll share both discoveries and scientific insight. We’re asking for your support so that we can gain the maximum amount of scientific data during preparation, and provide an exciting educational window into this important paleontological project. With your donations, we plan to provide you with a compelling story in pictures and in words as we dissect an interesting scientific puzzle in front of your eyes. A baby Utahraptor bone (premaxilla with teeth) from the block. This single bone represents a few days of careful work under a microscope. We are employees and former employees of the Utah Geological Survey in Salt Lake City, and the Museum of Ancient Life at Thanksgiving Point, Lehi, Utah. The project lead scientist is the Utah State Paleontologist, Dr. Jim Kirkland. Assistant State Paleontologist and fossil preparator Don DeBlieux will be doing some of the preparation and training. Scott Madsen, formerly of the UGS, will be the lead preparator on the project. 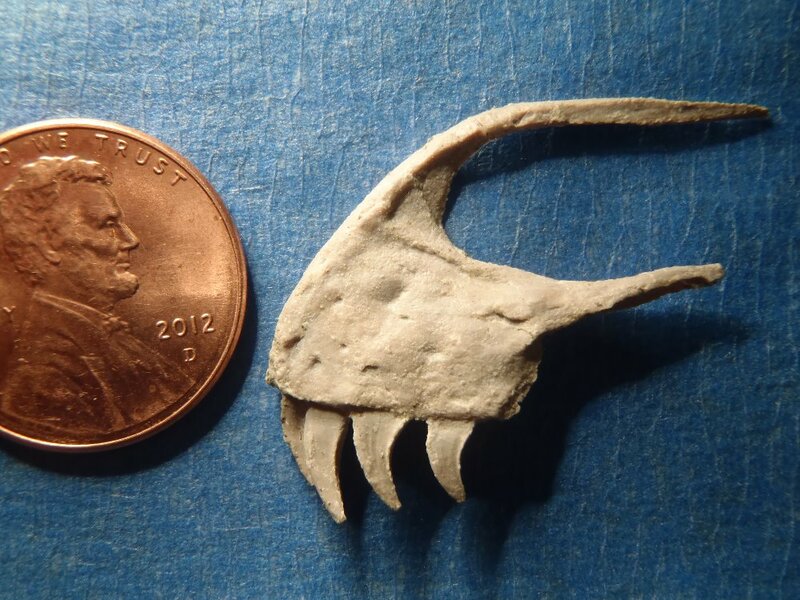 Madsen's expertise is in preparing very tiny, fragile and complex bones and teeth (like the one above), but he has worked with dinosaurs of all sizes for 40 years. Scott is committed to working for at least a year on this project (hopefully longer), and your donations will secure his services at a fair rate. The people of Thanksgiving Point stepped up when the block needed a home and they recognize the potential for a great educational opportunity and live exhibit. First and foremost, we are doing this for science — to learn as much as we can from this unique fossil. We take our responsibility to do a good job very seriously, and will dedicate our time and talents to insure this block is prepared to the highest standards and the results shared in scientific journals and popular media. We hope this campaign is successful enough to continue for four more years, the total time we think it will take to prepare the block. It takes a lot of work, but so far this block has not disappointed us. When we see the sharp, steak-knife serrations of a tooth appearing under the microscope it is a true ah-hah! moment. You can be a part of that experience. 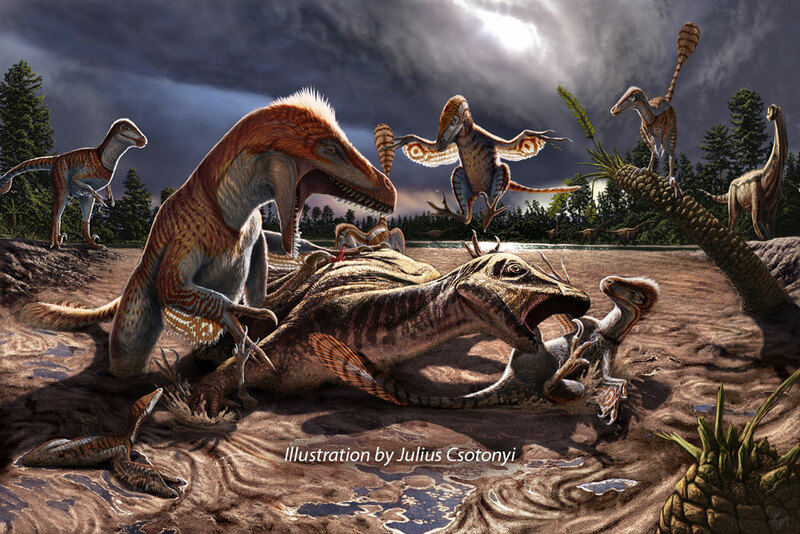 Visit the Utahraptor Project information website and learn much more about this project! The donations raised will go towards funding the the essential equipment, and to funding the services of professional preparator, Scott Madsen. We have met our funding goal for acquiring much of the equipment and Madsen is well into the work. Madsen will be dedicated to performing most of the difficult and time-consuming work of removing rock from bone and revealing the secrets of the block. Madsen will also train volunteers and coordinate with research scientists. Another major task will be keeping the cameras rolling for documentation, 3D modeling, and public viewing of the work. Madsen will post discoveries on the project's blog at Facebook as new fossils come to light. All proceeds from this Go FundMe campaign go directly to Scott Madsen's business, Precision Fossilworks, to be used specifically for the Utahraptor Project as described here. If you wish to make a tax-deductible contribution to the project, we are partnered with Thanksgivingpoint.org (a 501c3) where the megablock resides. We hope you will come by and visit us at Thanksgiving Point. They have a marvelous dinosaur museum, too! A project as big as the Utahraptor block requires some specialized equipment. All of the equipment we are asking for is essential for doing the highest quality work, and we've found good sources at reasonable prices. When the project is completed, equipment will be donated to the Museum of Ancient Life paleontology lab — which has generously donated the lab space for the project. Microscopes (similar the the one below) are the single most important piece of equipment needed for this work. We will need two of them so that we can work on different sides of the block without getting in each other’s way. Microscopes will be mounted to mobile floor stands with long boom arms and fiber optic lighting so we can work far out into the middle of the block. With small video cameras we can show you exactly what we are doing, even live-stream for special interactive events for project supporters! We will also need a good quality camera to capture still images for photogrammetry – the raw material that will allow us to create 3D models of the block and fossils. The cameras will also be used for producing educational and training materials for teaching people how to do fossil preparation. 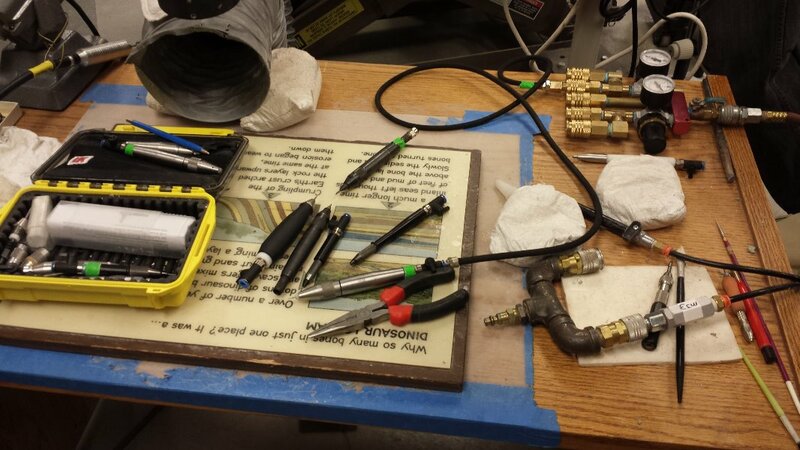 Pneumatic preparation tools, a.k.a. airscribes, are critical for this work and we need a range of airscribe sizes; big ones capable of moving a lot of rock as well small, precise ones for prepping out the tiniest of Utahraptor baby teeth. We will need an assortment of special glues and solvents to repair and stabilize the dinosaur bones, as well as miscellaneous brushes, syringes, carbide needles, grinders, dust collectors, and other tools standard in paleontology labs. Video and webcasting hardware will be necessary so you can see us using this equipment. Photogrammetry — About 124 million years ago, this plug of sandstone was actually a gooey mess that likely trapped, killed and preserved a bunch of dinosaurs. What did that look like? Why are these bones here? There is a story to be told. The technique of photogrammetry allows us to map all of the bones in the block in 3 dimensions and see how they relate to each other. It will be a powerful tool for helping the scientists (Jim Kirkland and others) to figure out exactly what happened here. If our hunch is right, we think it's also going to be a cool visual display of an extinct animal trap. Photogrammetry requires a good digital camera, a computer, and software. 3D models should be an exciting way for you to experience this project. All this preparation work generates a huge amount of dust which can be harmful to preparators as well as just making a mess. We will need to purchase a couple of strong dust and fume vacuum units with long arms to take care of this problem. A final component of the work will be preparing the bones for curation and storage at their eventual home at the Natural History Museum of Utah (NHMU) in Salt Lake City. Though it might seem mundane, it is important for the long term safety and preservation of the fossils that they are stored in proper boxes with padding and are all numbered and accounted for. Please support and share the Utahraptor Project! Thank you for your generosity — it is making scientific discovery possible! Utahraptor on the block reposted on YouTube, thanks again Tracy Joseph Tomson. Sharing this video through YouTube now, we hope you enjoy! Thanks Tracy Joseph Tomson for this. Hello to you from Utah! 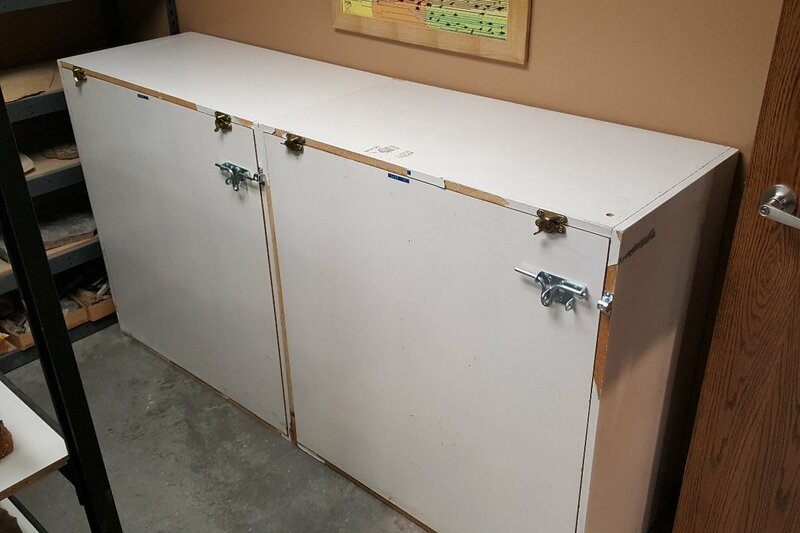 We just had 2 old-school but quite serviceable museum cabinets donated to the Utahraptor Project! They may not be very pretty, but they will do the job well for now and save us a bunch of money. So thanks to the folks at the University of Utah for this donation. We will have it filled faster than you might think. Hope to have a replica baby Utahraptor skull someday! Will you make copies of the baby Utahraptor premaxilla for sale or as a donation gift? The New York Times article was a real boost to the project, thanks to all our new friends. That would be a plan Tina, but need to extract from block first! One good technique might be selling tickets for a grand reveal gala? Put a hard cap on how many you'll sell. People will eat it up. I know I'd cut off my left pinkie for a chance to be one of the first to see the finished display. When I saw the patch of osteoderms, I suspectumed (sic) it was lizard. Looks like an excellent tech addition. I recommend a lot of digital photo-microscopy to share with us here! Keep up the good work! Let us know when volunteer slots become available. Neat! How big is the maxilla? 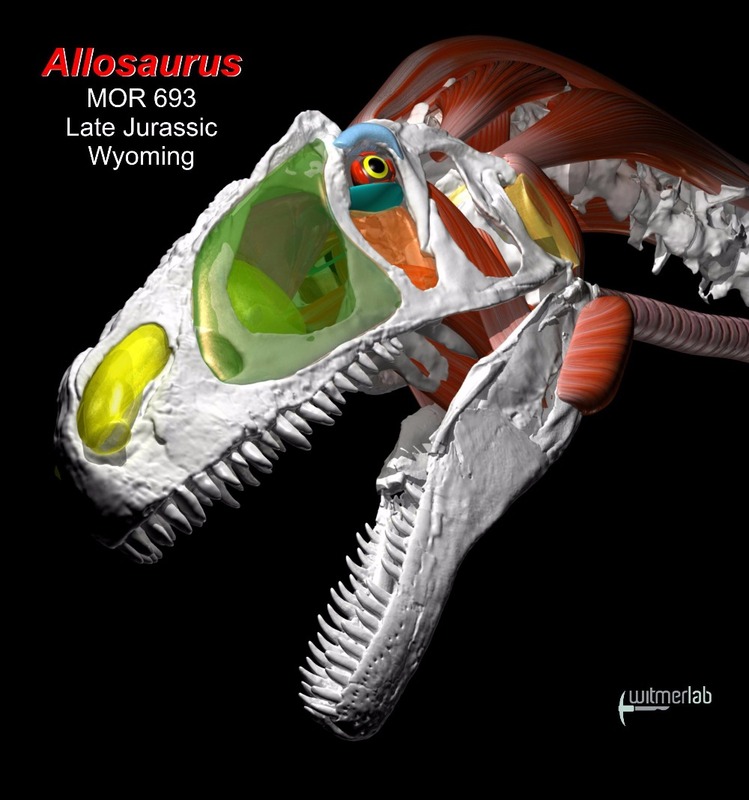 That would be awesome to have replicas of the baby Utahraptor skull. I'm happy to see donations coming in for Scott and the project. WOWOWOW You guys are living my dream, I love dinosaurs! Keep doin what you're doin!